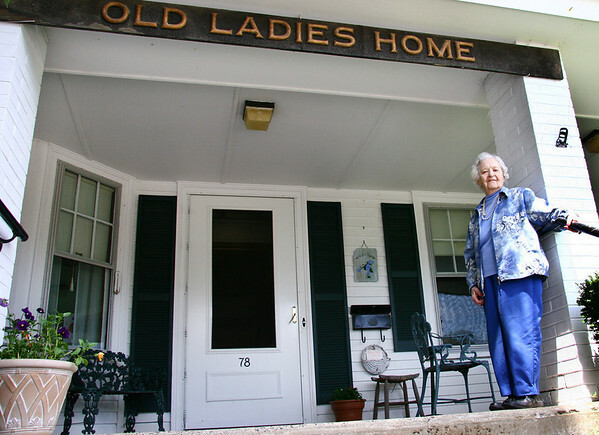 Beverly: Sylvia Olson, 99, stands in front of the Girdler House on Lothrop Street in Beverly. The Girdler House is celebrating its 125th anniversary. Photo by Mary Catherine Adams/Salem News. , Beverly: Sylvia Olson, 99, stands in front of the Girdler House on Lothrop Street in Beverly. The Girdler House is celebrating its 125th anniversary. Photo by Mary Catherine Adams/Salem News.